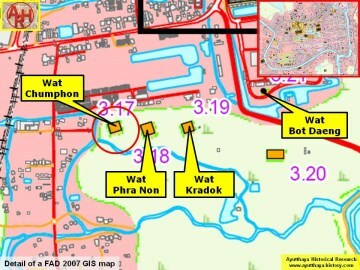 Wat Kradok were situated on its eastern side. and Khlong Wat Phra Non. concentration points for the local male population, prior to go into battle. 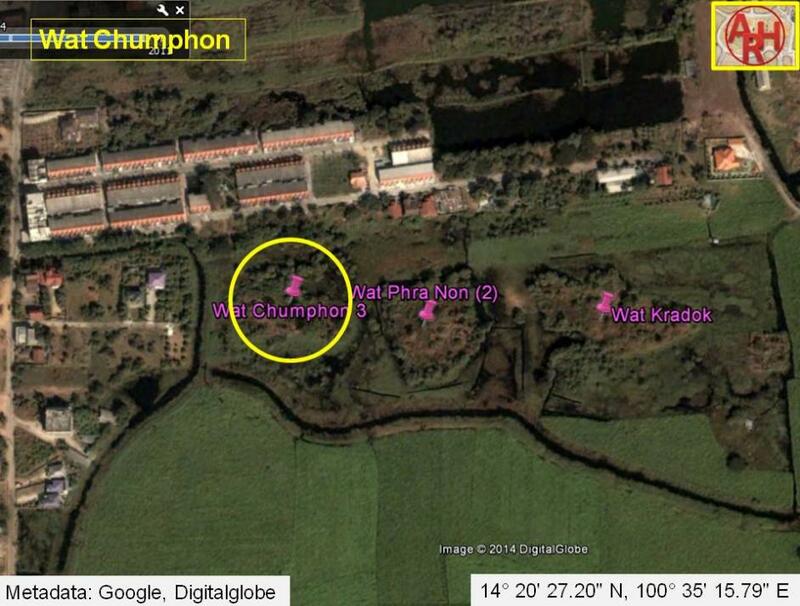 coordinates: 14° 20' 27.20" N, 100° 35' 15.79" E.